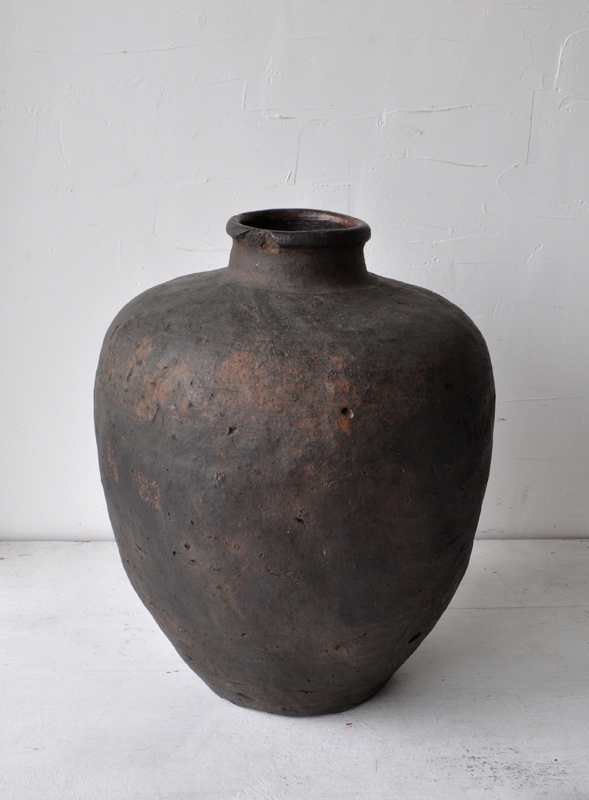 SHIGARAKI JAR (Dealer: hotoke) – Japanese high-fired unglazed stoneware jar with such deep and calm texture, in elegant proportions with the small straight neck, with refined natural distortion. Edo period, 18-19th century. Solid and heavy. Crack at spout and some inborn kiln-flaws as usual. Free shipping.